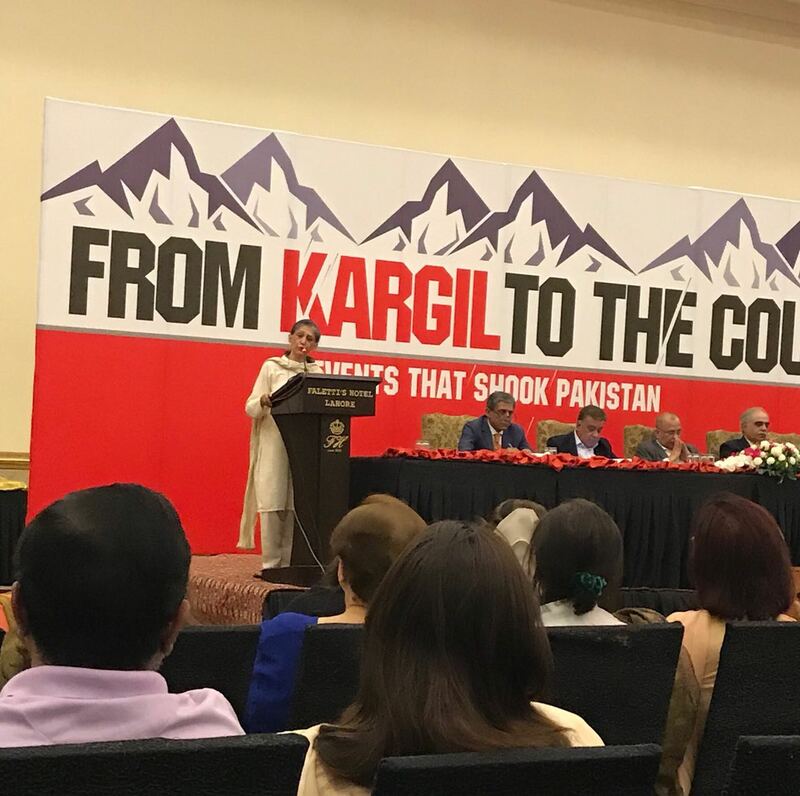 LAHORE: ‘From Kargil to the coup: Events that shook Pakistan’, a book authored by journalist Nasim Zehra about important events including the Kargil war, the October 12, 1999, military coup and the escalation of tensions between India and Pakistan in 2002, was launched at a local hotel on Tuesday. The event was hosted by Nasim Zehra and celebrated the book which had been in the works for more than a decade now. The event also attracted a large crowd of notables from all walks of life. 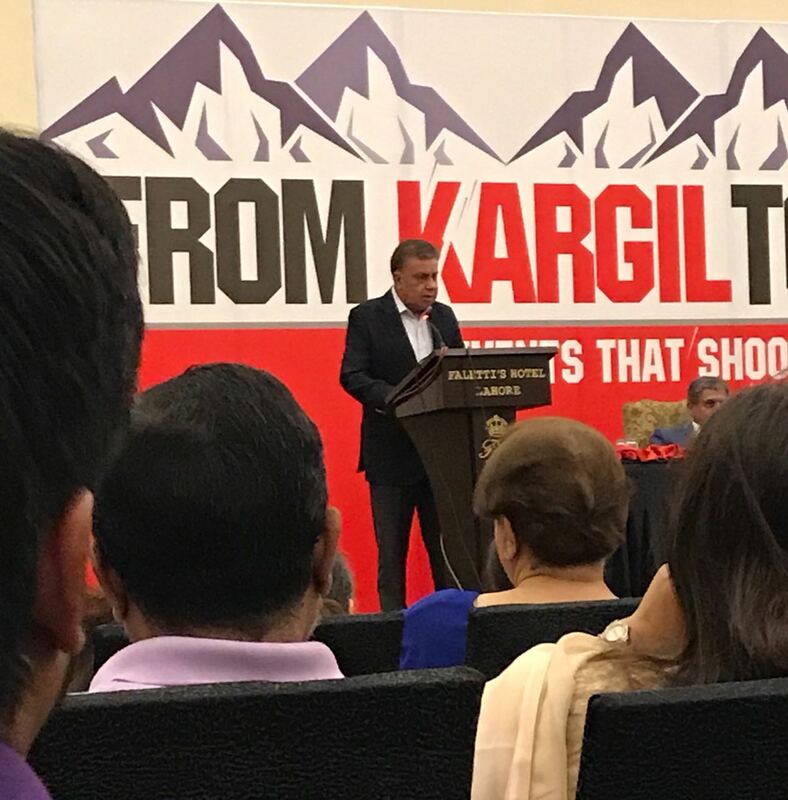 The panel discussing the book included journalists Arif Nizami and Sohail Warraich, as well as former military man General (r) Ghulam Mustafa and former Foreign Secretary Salman Bashir. Other guests at the launch included Pakistan Tehreek-e-Insaf (PTI) member of National Assembly (MNA) Shafqat Mehmood, singer Salman Ahmed, former Foreign Minister Hina Rabbani Khar, Ahmad Rashid, Professor Ayesha Jalal and others. Speaking on the occasion, the writer began by thanking the participants, as well as her family and friends, before throwing light on the struggle that went behind the book. “As a student and observer of international relations, there is much to be said and learned from the relationship between India and Pakistan between Kargil escalation and 2002,” she said. “It is worth writing how the Pakistan-India relationship has developed in these years, and I wanted to write it because I had a ringside seat to these events – from meeting with the prime minister to the army chief and Tariq Fatemi – all of this unfolded before my eyes like a dream, or more like a nightmare I should say” she went on. “I know that our soldiers are as brave and as committed as any other military personnel in the world, but it was important to write this book for Pakistan and for Pakistanis, so there will be no heroes in this book,” she concluded. “Nasim Zehra has written a very objective book, which is especially difficult on an issue as contentious as Kargil, and civil-military relations in Pakistan” he said. “The book exposes some things like Nawaz Sharif’s aversion to detail and his love for flattery,” he said to the crowd’s approval. He also questioned the panelist General (r) Ghulam Mustafa, who had spoken before him, about the Indian resolve which the Pakistan army had failed to take into consideration when launching the Kargil operation. Before Arif Nizami, the former general had spoken at length about the book, jokingly dispensing the idea that there were ulterior motives to the book being published at this time. “The question is not just Kargil, but why Pakistan repeatedly allows this to happen,” she stated. “What I can say is that this will dispel the long-standing myth of the military’s efficiency compared to civilian inefficiency. One flawed idea that the book successfully puts to rest is that one is not superior to the other,” she concluded.